Acid reflux, also known as heartburn or gastroesophageal reflux disease (GERD), is uncomfortable and painful in some cases. No one diet can prevent all GERD symptoms. 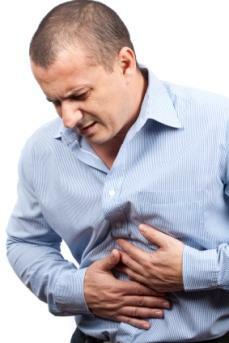 Fortunately, choosing certain foods -- and avoiding others -- helps reduce acid reflux to make you feel more comfortable. Following a bland diet, which is a diet that lacks spicy foods, high-fat dairy foods, fried foods, caffeine, and alcoholic drinks, can be used to help relieve heartburn, notes WebMD. Hot cereals, like cream of wheat, are also part of a bland diet, notes MedlinePlus. Higher-fat dairy foods like whole milk can make acid reflux worse, but low-fat dairy products like skim milk are good additions to bland diets. McKinley Health Center includes skim milk as part of a diet tailored for patients with gastroesophageal reflux disease. Choosing lean meats like baked or grilled chicken, turkey, whitefish, and shellfish with no fat added -- instead of fried and fatty meats -- can help alleviate acid reflux. Tofu and eggs are also good options when you're following a bland diet to prevent heartburn, according to MedlinePlus. Such protein-rich foods help you feel full longer, which is beneficial for healthy weight management - an important factor in getting rid of acid reflux. Mayo Clinic reports that chamomile is an herbal remedy sometimes used to treat GERD symptoms like heartburn. While you should avoid large amounts of caffeine when you have acid reflux, chamomile tea is a good choice because it's an herbal tea that's naturally caffeine-free. MedlinePlus notes that weak teas are part of heartburn-reducing bland diets, and the McKinley Health Center includes tea in diets for patients with GERD. Chewing non-mint gum can boost saliva production and lower the amount of acid in your esophagus, according to the McKinley Health Center. However, mint and peppermint can worsen GERD symptoms, so stay away from mint-flavored chewing gums. Some herbs, including licorice root, are used to help treat symptoms of GERD. MedlinePlus reports that ingesting licorice as a supplement combined with other herbs may help improve heartburn. The University of Maryland Medical Center notes that preliminary studies show taking herbal formulas containing licorice might help relieve symptoms of GERD. However, always check with your doctor before taking licorice root -- especially if you're on any medications. Avoid licorice supplements if you're pregnant or nursing, warns MedlinePlus.